About Us | Starborn Industries, Inc.
Starborn - Idea Driven Products: deck screws, ipe plugs, construction fasteners. Deck screws, drilling tools, construction fasteners. Founded in Brooklyn, New York in 1961, Starborn Industries, Inc. originally owned and operated a wood products factory. In the early 1980s fasteners became the primary focus of the company, as drywall screws emerged as a construction fastener. Since the late 1980s the company has expanded its product lines while creating, designing and bringing to market its own fastener and fastener-related products specially created for the deck construction market. Starborn is a national distributor and one of the largest importers in the USA for drywall screws. Starborn is also one of the first companies to recognize that decks have evolved into individualized statements of modern residential living and that the quality of a deck fastener plays an essential role in the stability, the finish and the longevity of a deck. Since 1961 the company has grown from a strong local and regional player to an established national provider. In recent years Starborn has also recognized a demand for its products internationally and is now distributing in Europe, Asia, Africa, South America, the Caribbean and Australia. 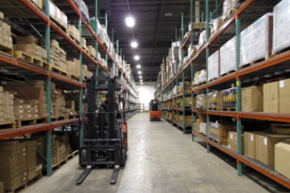 Starborn Industries, Inc. is located in Edison, New Jersey, in a state-of-the-art warehouse and distribution facility. In addition to the warehouse and fulfillment staff, Starborn has a full service sales and marketing department. Starborn Industries, Inc. is an independent, second generation family-owned and operated business. Starborn was founded as Starborn Products in Brooklyn, New York in 1961 by Kurt and Florence Gertner. At the time Kurt was a salesman for a metal moldings company and Florence was the “gal Friday” for a metals importer. With help from their teenage sons, Paul and Robert, Kurt and Florence started a sideline project importing wood sliding door track. This was the time of Sputnik and the space race. They wanted a company name that evoked this new era, and Florence came up with the name Starborn. Within weeks, Starborn received its first order from Dykes Lumber and the company soon grew into a fulltime operation. Fifty years later, even as Starborn has become an international company serving thousands of stores, Dykes Lumber remains an important and valued customer. The business evolved when Starborn began selling hardwood floating shelf and bracket systems. In 1968, Starborn opened a small woodworking plant in an industrial loft in Sunset Park, Brooklyn. The plant produced not only shelves and brackets, but other items as well, including wood drapery hardware, cabinets and tables. In 1979, Kurt and Florence decided to shift Starborn's focus back to imported products. Starborn became one of the first importers of drywall screws in the United States. The business grew quickly, employing neighborhood women to package drywall screws for sale in hardware stores and lumberyards throughout the New York area. Kurt and Florence decided to retire in 1986. Their son Paul left his government position in California to take over and direct the growth of Starborn, which at that time was based in a bustling storefront and packaging facility. Under Paul’s leadership, Starborn computerized its operations and the business was reorganized to succeed within a more competitive marketplace. Starborn relocated to the Red Hook section of Brooklyn. 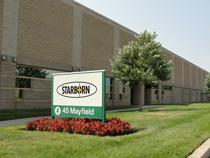 With the use of the latest computer and printer technologies, Starborn became one of first companies to provide fastener boxes with private labeling for local stores. Also, for the first time Starborn began registering trademarks for its increasingly unique products. Another major factor in Starborn’s growth was the addition of Larry Crossley to the company as the first sales manager. Larry assembled an internal sales team, and is currently the Vice President of Sales. Working together over the past two decades, Paul and Larry have transformed Starborn from a standard fastener importer to a leader in fastening technology innovation. From its new and modern facility in New Jersey, Starborn began launching new proprietary products, starting with Deckfast in 1997. Deckfast - “High Quality Deck Screws” - is based on the idea that consumers want the same attention to quality and detail for their decks that they have always expected for the interiors of their homes. Starborn recognized that decks were becoming an extension of the living room. This insight has guided Starborn’s development of a series of new fastener innovations. Headcote®, launched in 2003, was the first stainless steel fastener with a color coated head to match the color of popular deck boards. Headcote was immediately well-received and widely adopted throughout the industry. Starborn now had not only extensive nationwide US distribution, but began to attract international customers. With the success of Headcote and other original products, the company is now well established in countries outside of the US including Canada, Australia, New Zealand, France, Denmark, Israel and South Africa. In 2006, Starborn launched Smart-Bit®, another industry innovation and the company’s first patented product. Smart-Bit is the first pre-drilling and countersinking tool designed to perfectly match specific fasteners. Since its introduction, Smart-Bit has become the product of choice for deck builders and woodworkers who want an efficient tool that provides a high quality finish. Starborn is currently developing two new Smart-Bit designs: a Smart-Bit for tongue and groove boards and a Smart-Bit for fiber cement board. The Pro Plug® System for Wood was launched in 2010. Pro Plug enables builders and woodworkers to maintain the benefits of traditional face down fastening while using a hidden fastening system. The Pro Plug System reduces the time it takes to install plugs by more than half and produces a cleaner result compared to traditional plugging methods. Again, Starborn recognized the real world needs of deck builders and woodworkers by creating a comprehensive system that includes a specially designed tool, fasteners, plugs, and a glue applicator. Starborn’s current facility in Edison, New Jersey is managed by Nicolette Kavanagh, Vice President of Operations. Nicolette has made the continued growth of the company possible by introducing a new inventory management system and customer service center. Starborn is known for its commitment to providing new and practical solutions for builders and homeowners. 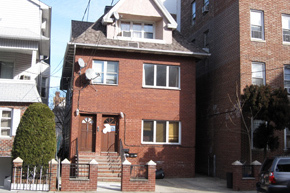 The business was started in the basement of this three-family home in 1961. 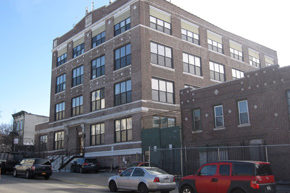 The woodworking plant opened in 1968 on the third floor of this industrial building in Sunset Park, Brooklyn. Starborn's storefront location opened in 1979. 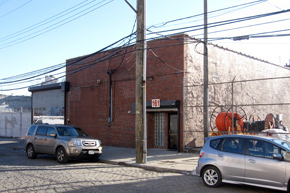 Starborn's location in the Red Hook section of Brooklyn. 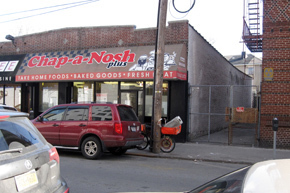 The company's first location in New Jersey. 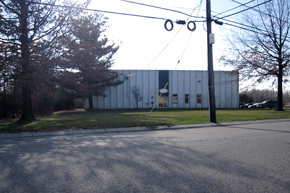 Starborn's current warehouse and distribution facility in Edison, NJ. Copyright © 2015 Starborn Industries, Inc. All Rights Reserved. Cap-Tor®, Deckfast®, Headcote®, Powerbolic®, Pro Plug®, Razorback®, Rib-Bit®, Smart-Bit®, Starborn Rib-Bit®, Wood Band® are trademarks of Starborn Industries, Inc.